After many great years of fan favorite Brian Dozier holding down the second base position, the Twins have moved on to some new options for 2019. The addition of Jonathan Schoop was a move that had many different opinions so today we will evaluate what he has done and how he can help the team. We will also take a look at Ronald Torreyes, as well as why isn’t Nick Gordon being given a chance yet? After 5 seasons in the minors he still is only 23 years old, so he has time. Jonathan Schoop: The former Baltimore Orioles power second basemen hit a huge drop off last season, dropping 60 points in average, 159 points in OPS, 11 less homers and 44 runs batted in. The 2017 all star is now one year removed from 32 homers, 105 RBIs and a .841 OPS. The Twins took a risk on Schoop signing him to a 1 Yr $7.5 Million deal. The front office clearly must see something pointing to Schoop returning to his past all star form. He is only 27 so age is not a concern for him. Schoop may be a player who was just in need of a fresh start to begin the year and he will have that in Minnesota. In Baltimore, he had a lot of pressure on him for being one of the three best offensive players on the team so this year the pressure may lessen with him getting to hit behind Sano, Cruz, Cron and Rosario. His defensive stats have been adequate over his career, but his bat has always been what shines. If Schoop can have a big 2019 it would mean a lot toward a hopeful playoff run. He is projected .262 with 21 homers and 65 RBIs which would be ok but I hope he can do even more. If he has a big year, he may even earn himself a couple years extension with the team. Ronald Torreyes: The former New York Yankee was not offered a deal by the Yankees so the Twins signed him the same day as Schoop (1 Yr 800k). The middle infielder has played the majority of his games at second base holding a career AVG of .281. He is one of the smallest players on the team (5-8, 152 lbs) and has ever only hit 4 homers in his 4 seasons. It will be a battle between him and Ehire Adrianz (tomorrows SS outlook post) for the final utility infield spot. Torreyes is projected to hit .269 with 1 home run and 16 RBIs which seems accurate given his situation. I see him starting the year in the minors and being called up periodically as an injury replacement. Nick Gordon: Gordon seemed to be well on his way to the MLB last year hitting .333 in AA with a .906 OPS, but his AAA promotion went about as bad as it could. He hit only .212 with a .544 OPS over 99 games which was a major setback in his progression. He will likely start the year in AAA and stay down there for the majority of the season. He will most likely be a September call up unless he plays absolutely lights out to start the year. It is unclear whether Gordon will play 2B or SS with Polanco currently at short so also look out for where he gets his playing time in AAA. 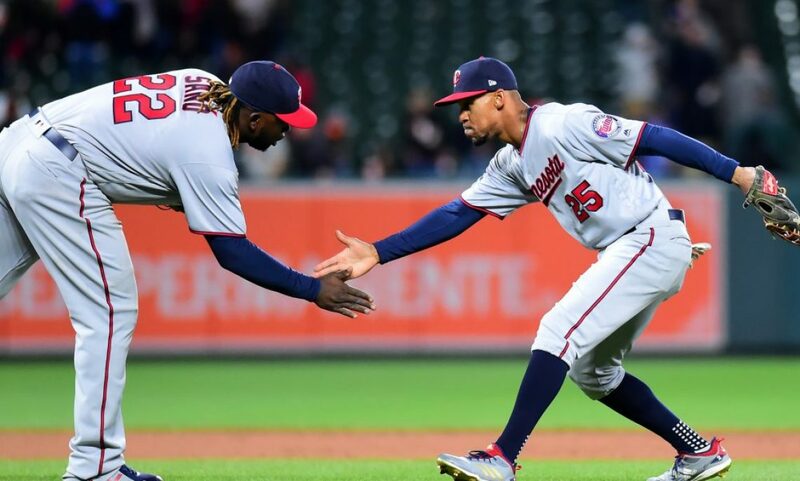 Gordon has also been used in trade talks recently so if Schoop returns to his all star form, the Twins could look to keep him around and move Gordon for some assets. Currently, the left handed hitter is only 23 (turned 23 last month) and remains a top prospect at shortstop so watch out for potential big things to come from him. The 2014 5th overall pick will only get better from here.